Primitivo – have you heard of it? You likely have, as its synonym is Zinfandel! Since I’m doing a wine profile, I won’t get into the history of that particular aspect at this time, however, I do want to introduce you to a wine that I think you’ll enjoy. If you’re the kind of wine lover who enjoys hearty Shiraz from Australia or brooding Cab Sav from California, then you should really give the Luccarelli Primitivo a try because it carries that jammy, dark fruit character that you would just adore. This particular wine was opened at wine club this past Saturday evening, and our focus was southern Italy. Primitivo is a grape that hails from the wine region of Pulgia, which you can find at the “heel” of Italy’s boot. According to Tony Aspler in his book entitled the Wine Lover’s Companion, “Northern winemakers used to order deeply coloured, high-alcohol Puglia wines to beef up their blends, both white and red. However, modern winemaking techniques have produced local wines of more finesse and style” [p. 194]. The inference here is that even the traditionalists of the north have been seeking out the wines of this region to assist in their own winemaking practices. What it also says is that the south is a reliable source of tasty grapes! 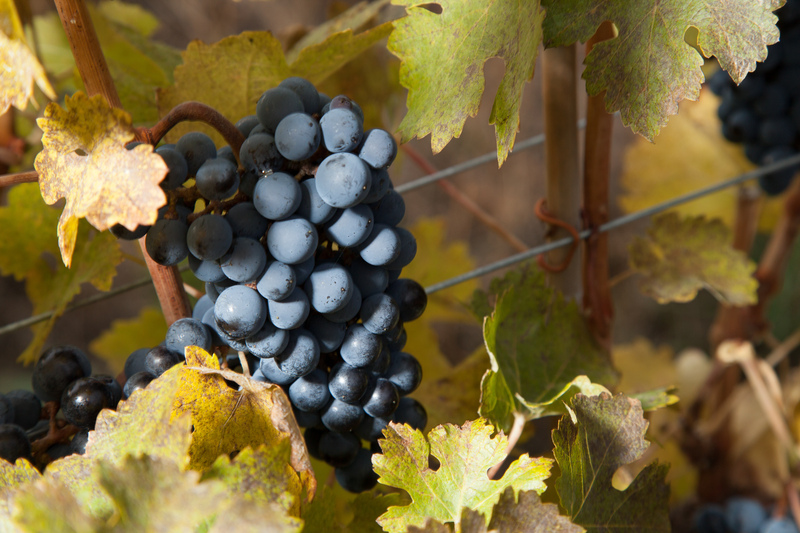 By character, Primitivo is well known for its focus on black, ripe fruit, dried fruit, and spicy characters. So, let’s get to the nitty-gritties, shall we? Tasted on 11 November 2017, this vintage of the Campo Marina showed a developing character with a prominent vanilla and plum character in addition to black cherry cola, cocoa, and blueberry pie notes. The palate was medium dry (the residual sugar was detectable), medium acidity, and very soft tannin. Black fruits, baking spices, and red licorice were the dominating notes on the palate. Have you tried this wine? Leave a comment below!